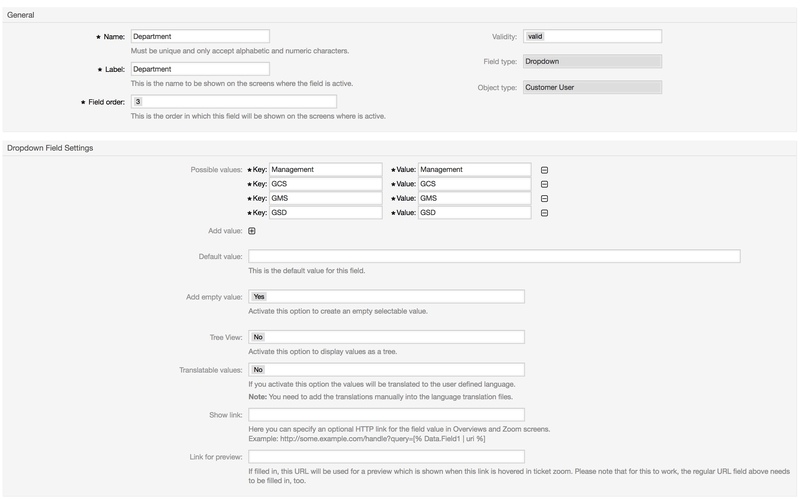 In OTRS 6 you have the possibility to add Dynamic Fields for customer users and customers. This makes it possible to add additional data fields to customer users and customers (companies) without making changes to the regarding backend. You’ll find two new boxes in the “Dynamic Fields Management”. 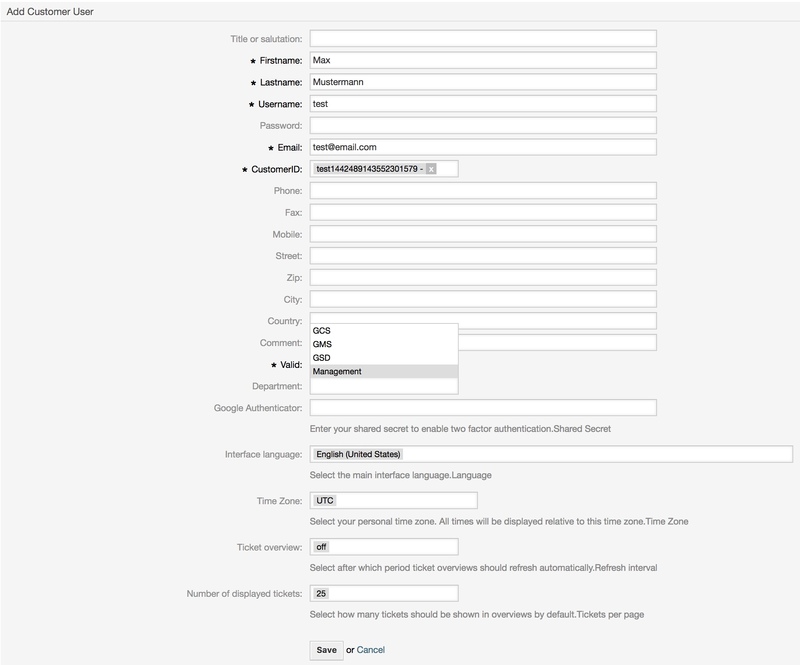 Here you can add Dynamic Fields for customers / customer users. Finally, you can add some values to the new Dynamic Field. Afterwards, you have to add the Dynamic Field(s) to the specific backend. Finally, the newly created Dynamic Field is available in the customer user configuration screen. 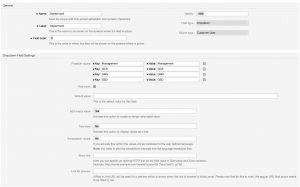 How to create in OTRS a catalog of services associated with pre-defined prices for each service. The goal is to create a call and select a certain service the price of that service has already been defined. Would you please post the entire file ? I m confused when you say specific backend. Thanks! Hello, I'm not sure if this will solve my issues, but I'll ask just in case. I've been trying for months to get Otrs to send notifications on ticket close to the ticket creator, NOT only to the customer user & agents, but I cannot figure it out... Basically I'm using the notification template, where it says Additional recipient email addresses, and in that field I believe I should add something, like or, as some said, a dynamic field. Do you have any idea how can I solve this? Thank you! Hi Robert, I have a question. 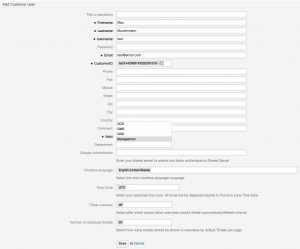 Is possible to use this new dynamic field for customer user to filter notifications and generic agents? I have the same question as Alisson Peres... how do I get those new Dynamic Fields to show in the customer widget in the ticket zoom page? Hi Robert, I could add the dynamic fields to the Customer User and the Customer in OTRS, however the Dynamic Fields don't show in the Customer Information inside the ticket zoom screen. How could I get the dynamic fields to appear in the ticket zoom? Can you add more details how to add the field to your backend? is this added under the Map section in Config.pm ?